Stephanie Lake, MSc, is a Research Assistant with the BC Centre on Substance Use, as well as a PhD student in the School of Population and Public Health at the University of British Columbia (UBC). Her doctoral research focuses on a range of emerging public health questions regarding the legalization of cannabis in Canada, and the implications of legalization for health issues that include opioid use and related harms and HIV/AIDS treatment outcomes. 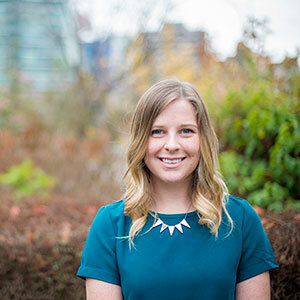 Stephanie obtained a Master of Science degree from UBC in 2015, where she studied the injection of prescription opioids and associated health outcomes, including overdose, among people who inject drugs in Vancouver. Stephanie has numerous first-author publications in a range of leading peer-reviewed public health and addiction journals. She is also a staff writer at the UBC Medical Journal, where she writes on the subjects of medicine and public health. Her doctoral work is currently supported through the Four Year Doctoral Fellowship program at UBC.